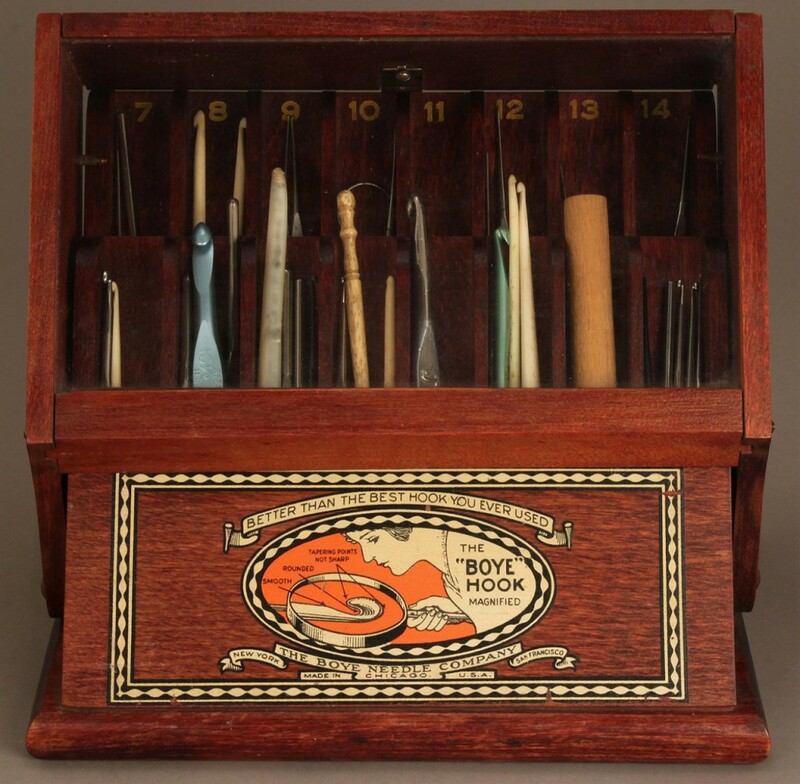 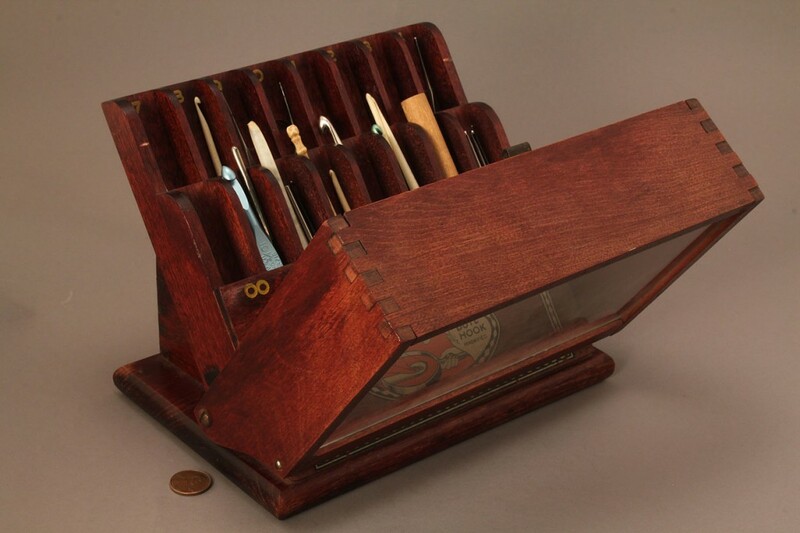 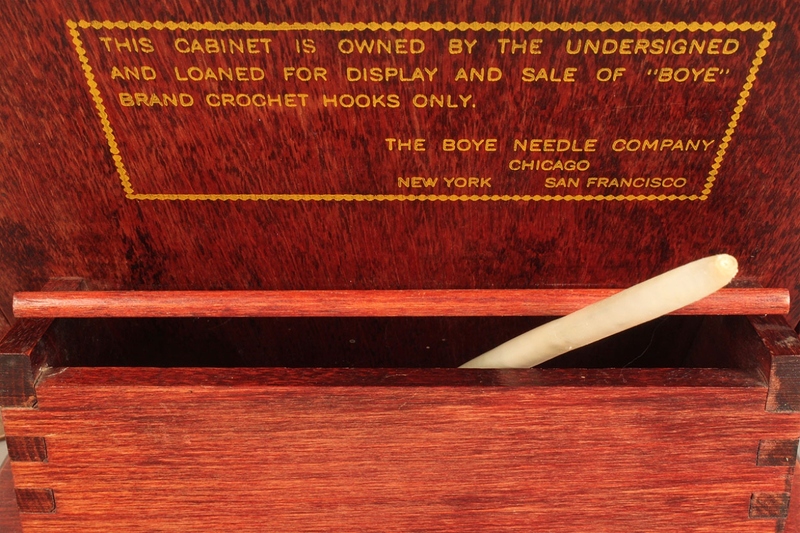 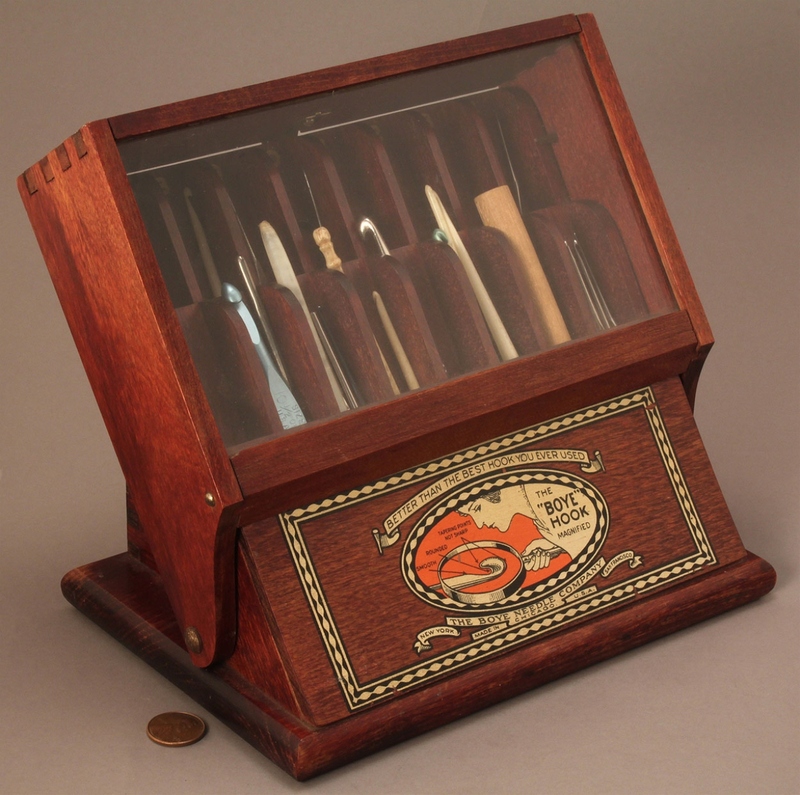 Boye Needle Company wooden countertop display case with slanted front, fitted with 16 compartments, each with stenciled size for crochet needles, glass fold-out front over original label. 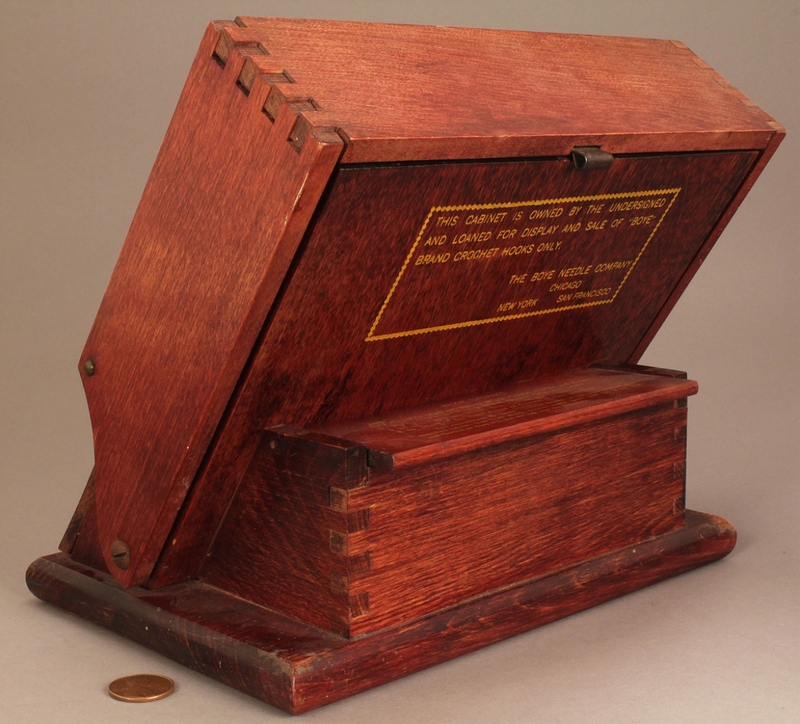 The reverse has a compartment containing a stenciled size chart and hinged lid. 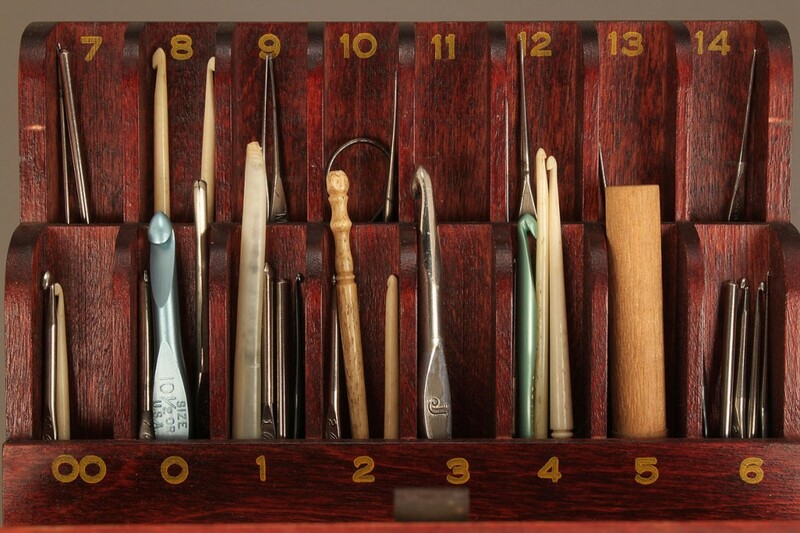 Includes approximately 36 crochet needles from various manufacturers, along with several needle cap protectors and a paper size chart. First quarter 20th century. 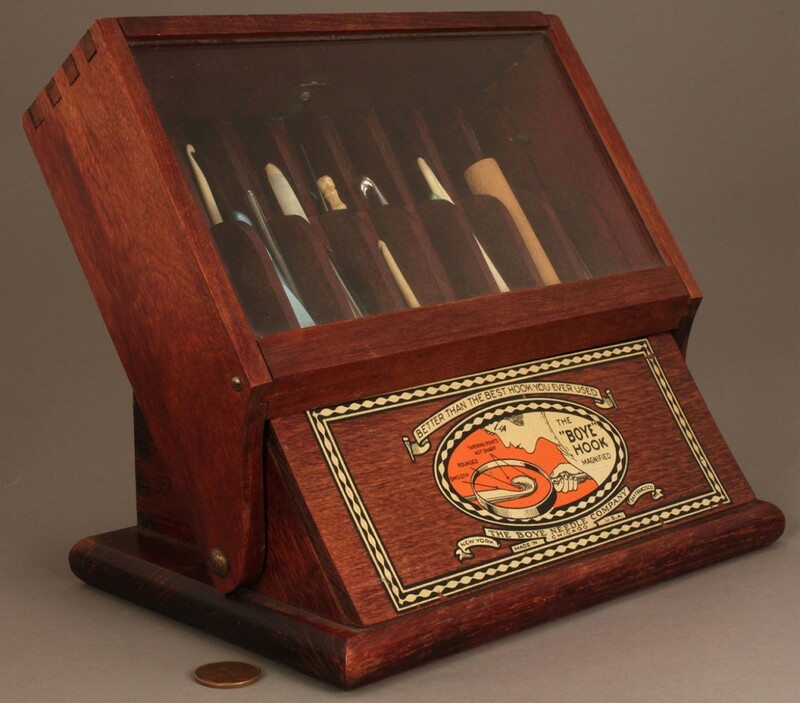 7 1/2"H x 8-1/2"W x 5-5/8"D. Early 20th century. 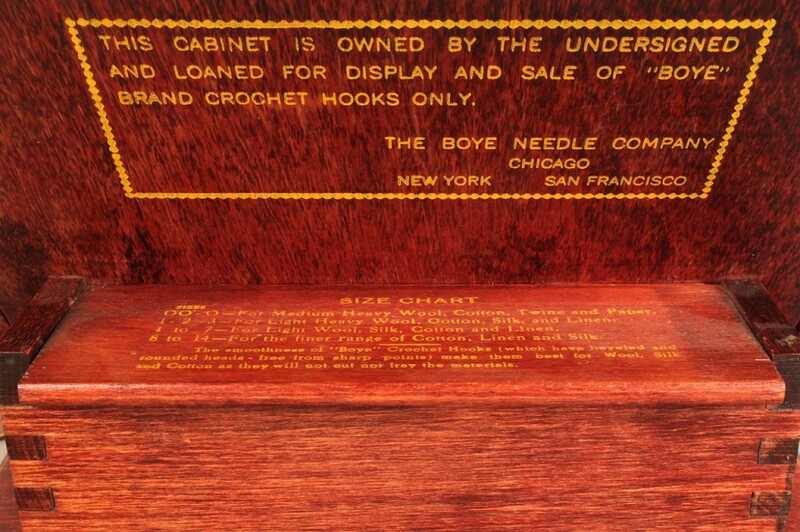 Provenance: estate of Isabel Pesek, Ames, Iowa. 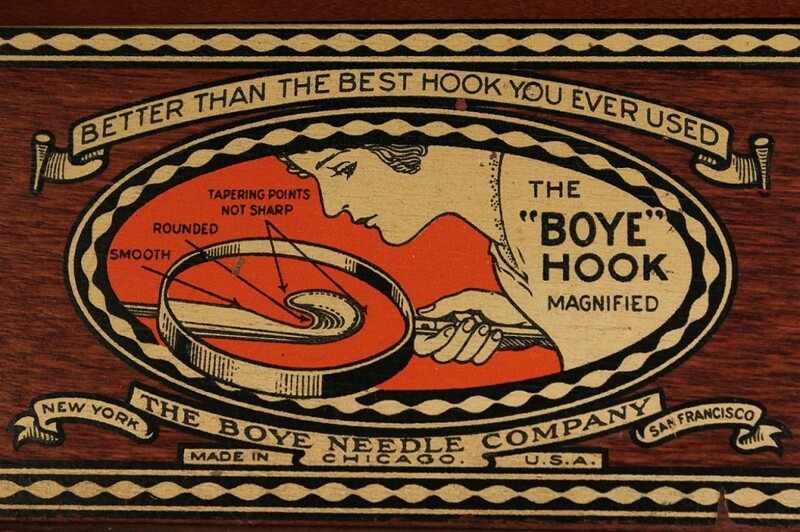 Condition: Some slight wear to base, overall excellent condition.